The fifth installment of the Presidential Lecture Series, hosted by President John L. Anderson, will be held on Monday, January 27, 2014. John W. Rowe, IIT Regent, Former Chairman of the Board, and Chairman Emeritus of Exelon Corporation, will introduce the lecture titled, “The Contributions of Immigrants to American Culture,” presented by Charles Hirschman. The standard accounts of immigration to the United States focus on patterns of assimilation, the costs of immigration to American society, and the politics of immigration policy. In this presentation, the focus is on a neglected but very important topic—the contributions of immigrants and their children to American society, and in particular, to the development of the American performing arts, science, and other cultural pursuits. Immigrants and their children are not born with more creative talents than native-born citizens, but their selectivity and marginality have pushed and pulled those with ability into high-risk career paths that reward creative work. The presence of large numbers of talented immigrants in Hollywood, academia, and high-tech industries has made American institutions more meritocratic and open to innovation than they would be otherwise. RSVP to the President’s Office no later than Thursday, January 23, 2014. Please phone 312.567.5196 or email hmatson@iit.edu. 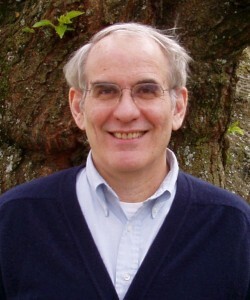 Charles Hirschman is Boeing International Professor in the Department of Sociology and the Daniel J. Evans School of Public Affairs at the University of Washington. He received a bachelor of arts from Miami University (1965), and a master of arts (1969) and doctorate (1972) from the University of Wisconsin–Madison, all in sociology. He taught at Duke University (1972–1981) and Cornell University (1981–87) prior to joining the University of Washington in 1987. At the University of Washington, he served as director (1987–1995) of the interdisciplinary Center for Studies in Demography and Ecology and as chair (1995–98) of the Department of Sociology. Hirschman teaches undergraduate and graduate courses on demography, immigration and ethnicity, and comparative social change, and he conducts research on immigration and ethnicity in the United States and on social change in Southeast Asia. He is the author of Ethnic and Social Stratification in Peninsular Malaysia (1975), a co-editor of Southeast Asian Studies in the Balance: Reflections from America (1992) and The Handbook of International Migration: The American Experience (1999), and has published more than 120 journal articles and book chapters. Hirschman was elected president of the Population Association of America (2005) and chair of Section K (Social, Economic, and Political Sciences) of the American Association for the Advancement of Science (2004–05). He is an elected fellow of the American Academy of Arts and Sciences, the American Association for the Advancement of Science, and the Washington State Academy of Sciences. He was a fellow at the Center for Advanced Study in the Behavioral Sciences (1993–94), a visiting scholar at the Russell Sage Foundation (1998-99), and a Fulbright visiting professor (2012-13) at the University of Malaya. Hirschman served as chair of the Social Science Research Council Committee on International Migration (1994–2005), and on many review panels and advisory committees of the National Institutes of Health, the National Research Council, and several universities. Mr. Rowe serves as chairman of New Schools for Chicago and The Field Museum, and as president of the Wisconsin Alumni Research Foundation. He is a member of the board of the Illinois Holocaust Museum, the Morgridge Institute for Research, the Northwestern University Settlement House and Chicago Shakespeare Theater. 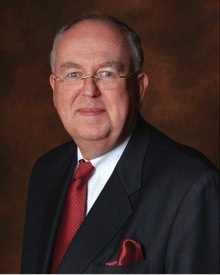 He is an IIT Regent and former Chairman of the Board of Trustees.